Durga Puja is one of the biggest festivals in the city of Kolkata which is celebrated with sheer devotion. This week long celebration beginning with Mahalaya and ending with Vijayadashmi, sees the entire city decked in lights, sounds and colors of all sorts. Amongst these fanfare, the Pujo pandals are the biggest attractions. Grabbing several eyeballs, these pandals have a stiff yet friendly competition as well. Let’s take a look at some of the most celebrated Pujo pandals in Kolkata. With innovative themes and spectacular designs, pandal hopping is one of the favourite pastimes during the auspicious week. For months, the organizing committees are involved in brainstorming and creating a pandal that stands apart from the rest. Attracting hordes of visitors and tourists, from various corners of the country and world, the pandals presents an extravaganza of Durga Maa’s avatar and other folklores. Being a metro city, you can find Delhi, Mumbai, Chennai and Bangalore to Kolkata flight to reach the destination. Do keep these pandals in your itinerary whilst visiting the city during Durga Puja. Let’s take a look at some of the famous ones. Ekdalia Evergreen Club – The club which is a prominent name is establishing simple yet unique Pujo pandals, you’ll be left awestruck with the elaborate decorations and fantastic work of lighting in the pandals. The club usually follows the path of designing their pandals representing the UNESCO heritage sites and regional monuments. The statue of the Goddess is the main attraction, crafted for a simple yet powerful aura. Enjoy the flow of positivity in the pandal premises and line up of lip-smacking regional food stalls. Mohammad Ali Park – The Pujo pandal established the Mohammad Ali Park is always created on a grand scale, looking somewhat similar to a set from a Sanjay Bhansali movie. The architecture is carefully designed and usually kept a secret until its official unveiling. With intricate details and ingenious use of themes, the pandals are also famous for a fantastic work of lighting as well. Usually you can find the lighting work in a radius of half a mile from the main pandal, thus, exciting the visitors with a thought that something spectacular is about to come. Extremely crowded during the last three days of the Puja, it is advisable to carry less while visiting the pandal. Suruchi Sangha Pujo Pandal – Located in the southern suburbs of Kolkata, the Suruchi Sangha are known for presenting pandals of varied social themes. This couples as a public awareness campaign, where people are told about the social stigmas stinging our society. The pandal association has often managed to bag several grand prizes for their innovative efforts. With aesthetically carved statue of Goddess Maa, which is often designed according to the theme as mother nature or motherland, this is one thought provoking Pujo pandal you need to visit. So, if you’re planning for fun-filled Pujo celebrations this year, going on a visit to the captivating pandals would work as icing on the cake. 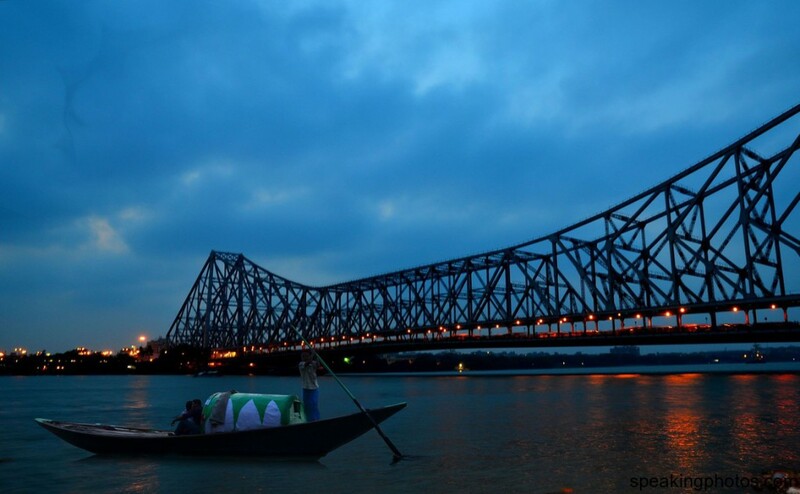 Apart from the appealing places to visit in Kolkata, visiting these pandals would be an enriching experience.